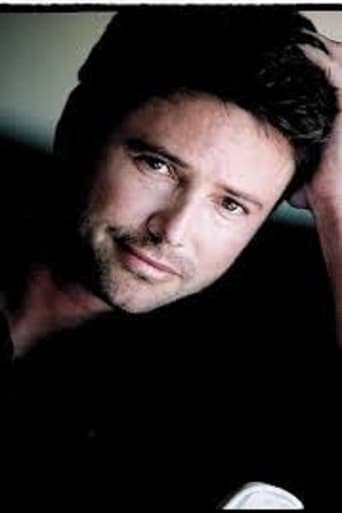 David Scott Lascher is an American actor best known for his roles in Blossom, Sabrina, the Teenage Witch, and the Nickelodeon show Hey Dude, in which he starred with Christine Taylor. Lascher was born in Scarsdale, New York to a psychotherapist mother and a lawyer father. He attended Scarsdale High School and has three sisters: Alexandra, Carly, and Lauren. Lascher is best known for playing the lovable troublemaker Ted McGriff on Nickelodeon's comedy Hey Dude in the early 1990s. On Sabrina The Teenage Witch, his character worked as a coffee-house manager who was the target of a lot of coffee-oriented humor, such as getting covered with a lot of foam and being dressed up as a giant cappucino, complete with a massive white foam wig. On May 23, 2006, Lascher appeared on the NBC chat program Last Call with Carson Daly as a Ryan Seacrest clone in a parody of that evening's American Idol finale. He is currently married to Jill London. They were married in 1999 and have two children together. Lascher was previously married to Jessica Watson on August 14, 1995, but the two eventually divorced. He broke into showbiz after appearing in a television advertisement for Burger King.